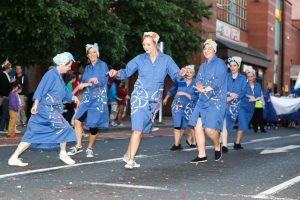 Jeanefer was Choreographer for the award winning The Return of Colmcille, a large-scale public event produced by Walk The Plank as part of the Derry-Londonderry City of Culture 2013. 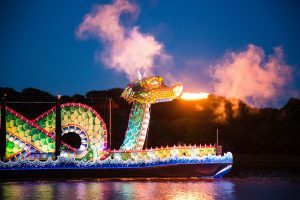 The Return of Colmcille celebrated both the iconic and fascinating figure of Saint Colmcille and also the City of Derry~Londonderry and its people. Referencing Derry~Londonderry’s rich heritage and past but very much rooted in the present, The Return of Colmcille was a story told by the people and involved a cast of hundreds. The production proved to be a major highlight of the City of Culture 2013 programme and a unique opportunity to present an alternative and inspiring view of the city. Jeanefer was delighted to work once again with writer Frank Cottrell Boyce. 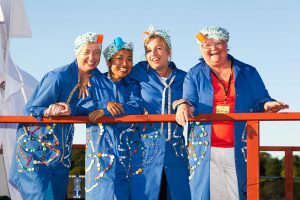 They previously worked together the 2012 London Olympic Games Opening Ceremony.